One of the offbeat pleasures of Las Vegas in the ’80s, ’90s, and the 2000s was the Liberace Museum, a den of conspicuous consumption located in a strip mall seemingly far removed from the glamour of the Strip. Opened in 1979 by the showy pianist and performer Liberace, who performed in Vegas for decades and called the young city his home, the museum housed his elaborate costumes, personal ephemera, and extensive and impressive car collection. Sadly, the museum shuttered in 2010, relegating much of the collection to storage. Some of Liberace’s possessions—including a Dusenberg Kitcar—appeared in a 2013 exhibit at the hip Cosmopolitan resort, which beat the drum louder for a permanent home (and produced many failed attempts at such). 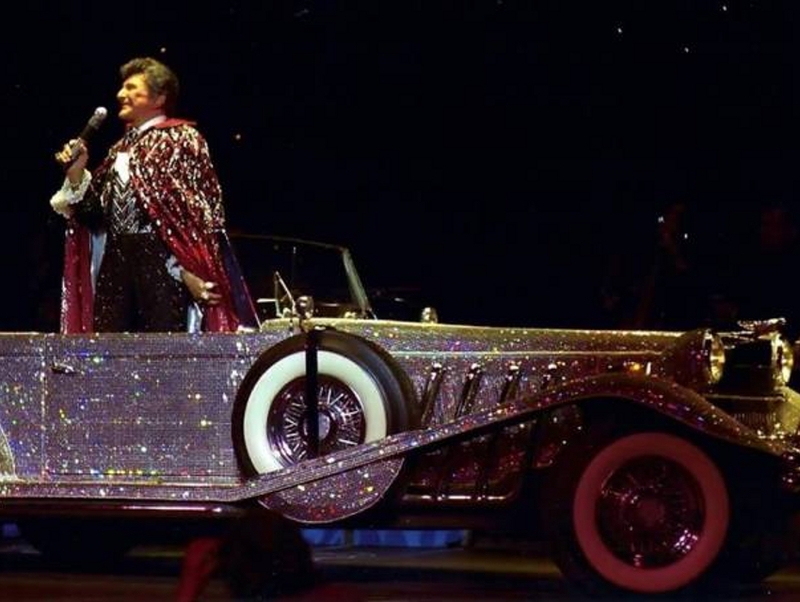 News finally came this week that Liberace’s glorious car collection will soon be housed at the Hollywood Cars Museum, which is not in Hollywood but in Sin City. The Dean Martin Drive museum will devote 5,000 square feet to the Liberace Garage, showcasing cars like the 1961 Rolls Royce Phantom V limo featured in Behind the Candelabra, a 1957 Rolls convertible Liberace would launch out of during his Vegas shows, the Crystal Roadster he drove onto the stage of Radio City Music Hall, and a real London taxi that he owned and would use to pick up friends and family from the Vegas airport. Aside from gawking at Liberace’s excess, visitors to the Garage will help fund the Liberace Foundation for the Creative & Performing Arts, which has provided over $6 million in arts scholarships. The Liberace Museum debuts with a benefit party for the foundation on April 7, opening to the public the next day. The museum is located at 5115 Dean Martin Drive, and is open seven days a week from 10 a.m. to 5 p.m. Click here for more info.